Ridgestone Mining Inc. (TSX-V: RMI) (OTCQB: RIGMF) is pleased to announce that it has completed its previously announced private placement financing of units for gross proceeds of $1,120,000. An aggregate of 8,000,000 units each Unit comprised of one common share of Ridgestone Mining and one half of one common share purchase warrant were issued at a price of $0.14 per Unit. Each Warrant is exercisable for one additional common share at a price of $0.25 until October 13, 2021. The expiry of the Warrants may be accelerated by Ridgestone Mining at any time following the date that is four months and one day from closing of the Financing, and prior to the expiry date of the Warrants if, at any time following the Closing Date, the closing price of Ridgestone Mining’s common shares on the TSX Venture Exchange is equal to or exceeds $0.50 for any 10 consecutive trading days. In such event, Ridgestone Mining may accelerate the expiry date of the Warrants by giving notice to holders of Warrants and issuing a news release announcing the reduced Warrant term whereupon the Warrants will expire on the 10th calendar day after the date of such news release. Ridgestone Mining paid finder’s fees of 6% cash and 6% compensation warrants comprised of a cash commission of $43,260 and a total of 309,000 Compensation Warrants. The Compensation Warrants have substantially the same terms as the Warrants but are not transferable. 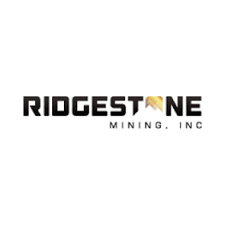 Ridgestone Mining has also received TSX-V approval for the issuance of 72,222 bonus shares to a director of Ridgestone Mining in connection with a $65,000 loan to Ridgestone Mining under a loan agreement dated February 28, 2019. Ridgestone Mining has issued the Bonus Shares as of April 12, 2019. The Unit Shares, Warrants and Compensation Warrants are subject to a hold period until August 13, 2019. The Bonus Shares are also subject to a four month hold period expiring August 13, 2019. The Financing remains subject to final acceptance of the TSX-V. Following closing of the Financing and the issuance of the Bonus Shares, an aggregate of 32,198,161 common shares of Ridgestone Mining are issued and outstanding. The net proceeds from the Financing will be used for ongoing working capital requirements relating to the Rebeico gold-copper project in Sonora, Mexico. Ridgestone is a TSX Venture Exchange-listed junior mineral exploration company with offices in Taipei and Vancouver, B.C. The Company’s focus is on precious metals and copper in Sonora, Mexico, and specifically the Rebeico Gold-Copper project.